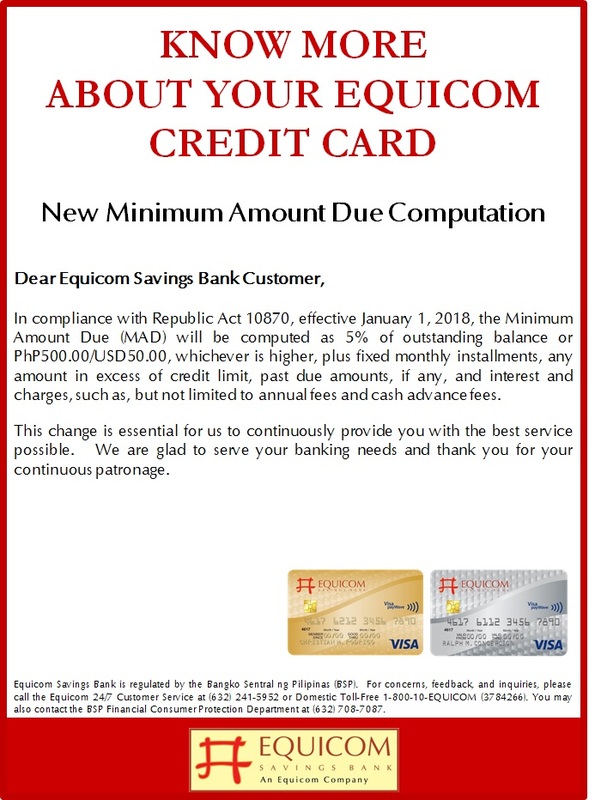 Equicom Savings Bank has announced the introduction of the Equicom Super Check, the first and newest credit instrument of its kind in the financial market that offers flexibility and security as an alternative payment facility for the standard credit card. 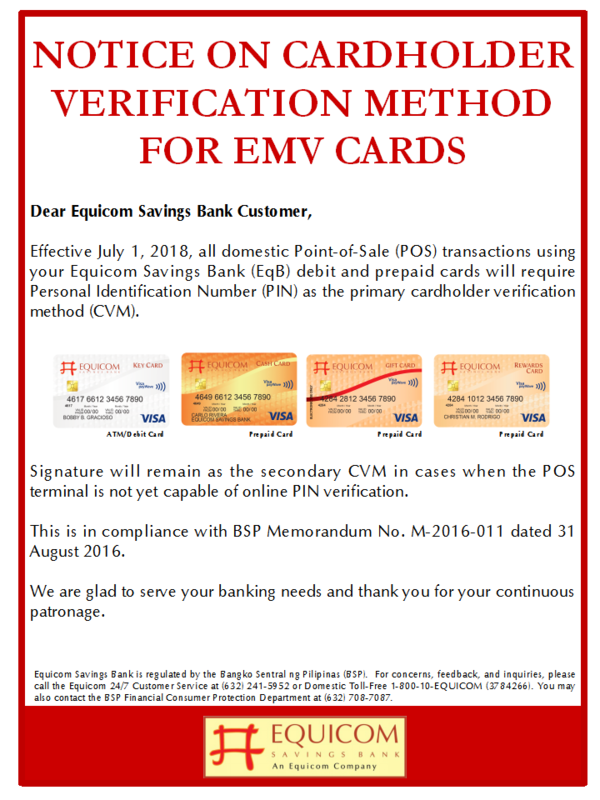 The Equicom Super Check can be used as payment option at non-card merchant establishments for the purchase of goods and services. 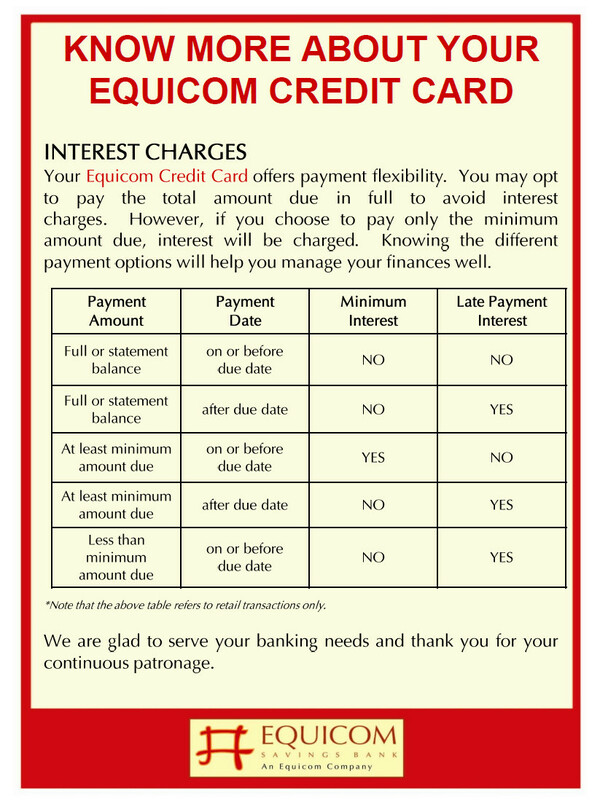 Through the Equicom Super Check, an Equicom Credit Cardholder can use up to 100% of his available credit limit. . 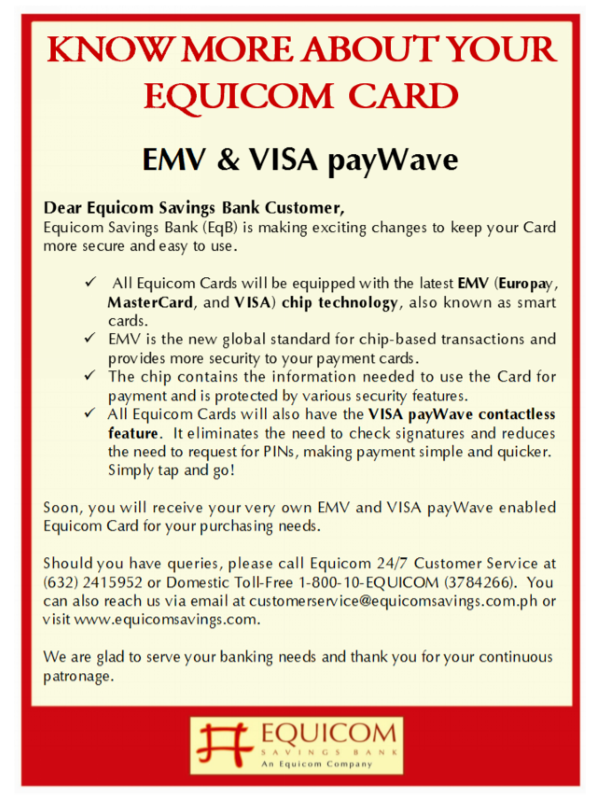 Transactions using the Equicom Super Check are also eligible to earn for the Cardholder Key Points that can be converted into cash credits that he can use to shop at any VISA establishment worldwide through the Equicom Gift Card. 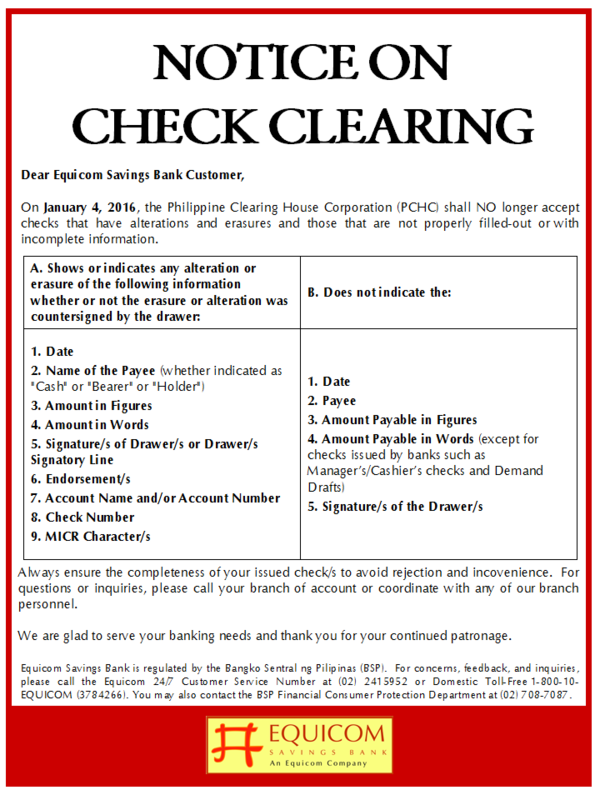 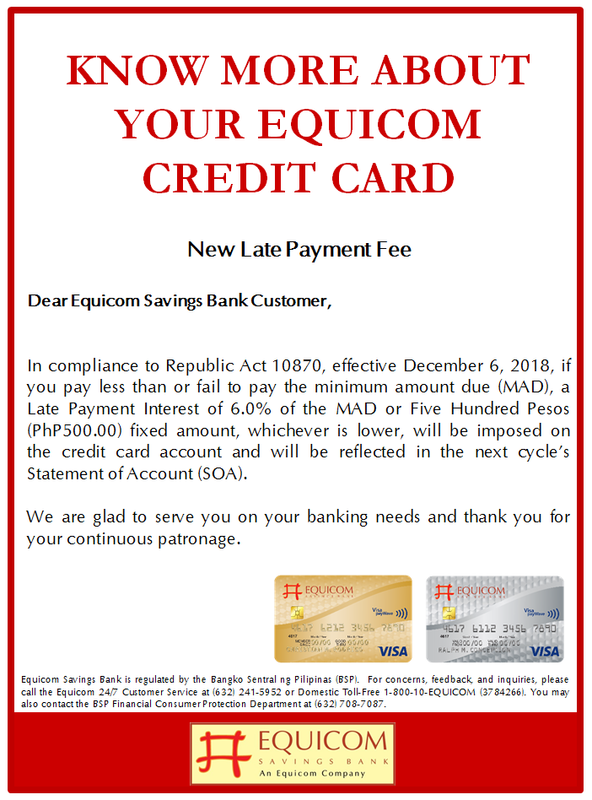 During its promotional period from July to December 2010, the use of the Equicom Super Check carries low service fee of 1.5% for transactions of Php 2,000.00 and above. 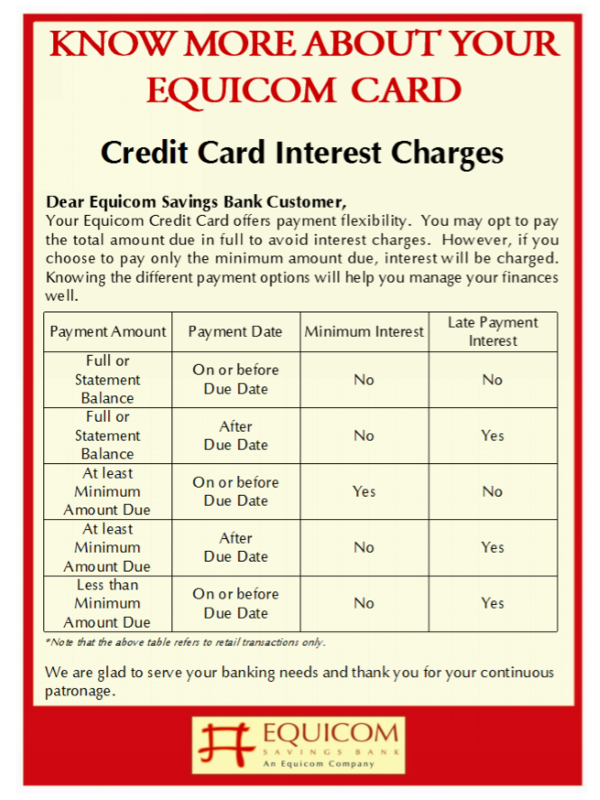 The Equicom Super Check is the latest and newest credit and financial product developed by Equicom Saving Bank to make the financial transactions of an Equicom Gold Credit Cardholder more satisfying and rewarding. 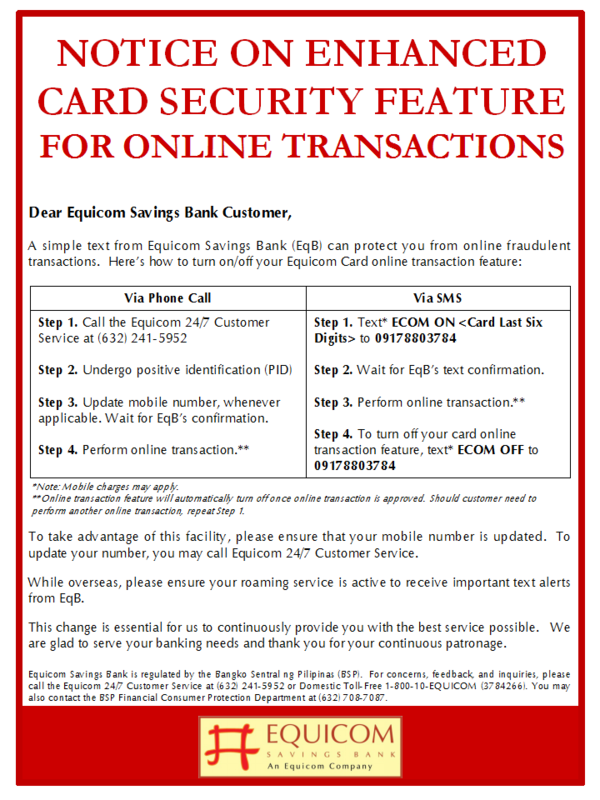 Other card products it offers in partnership with VISA International include Equicom Classic Credit Card, Equicom Key Card, Equicom Cash Card and Equicom Gift Card. 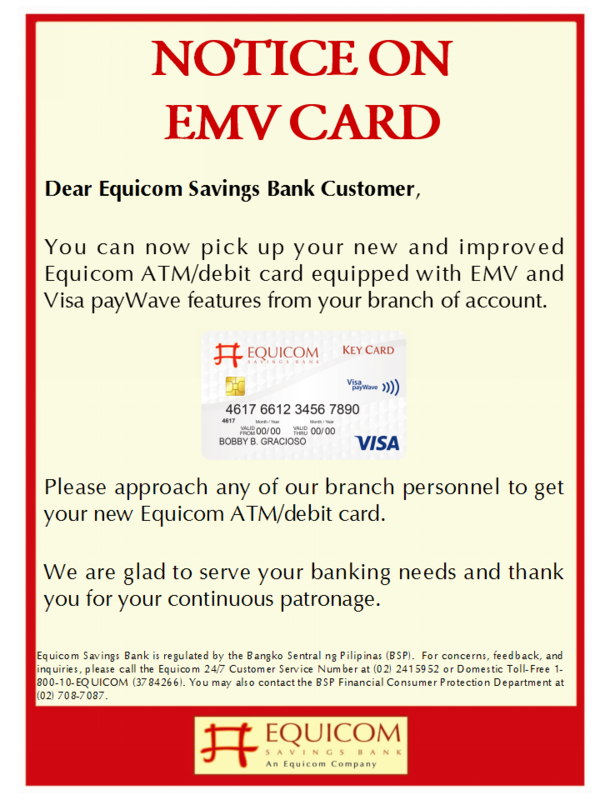 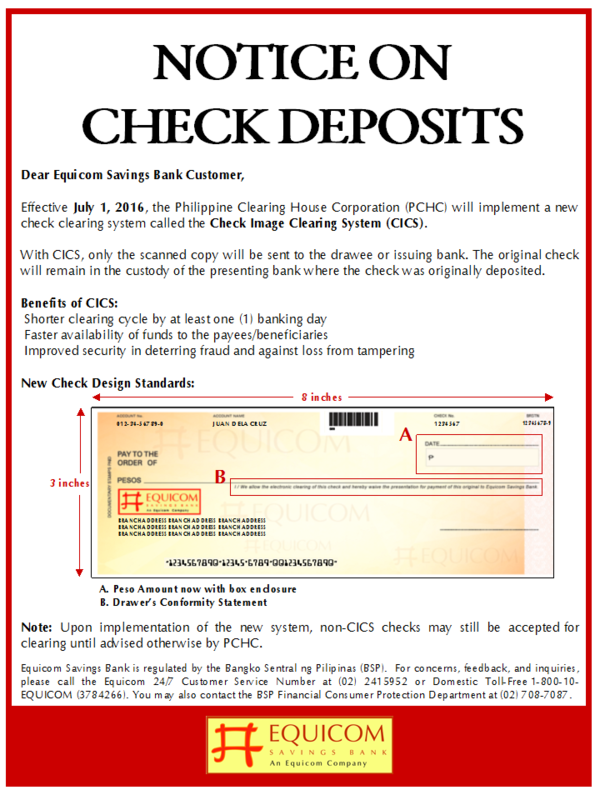 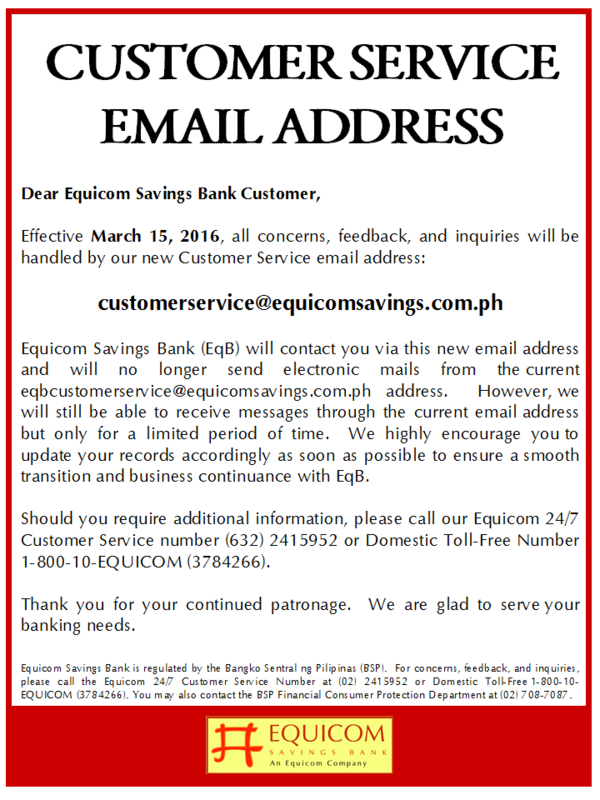 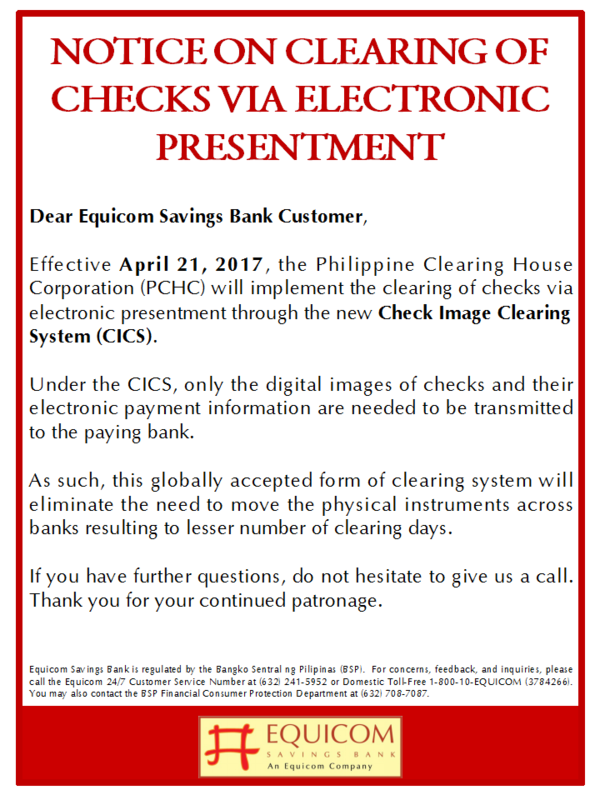 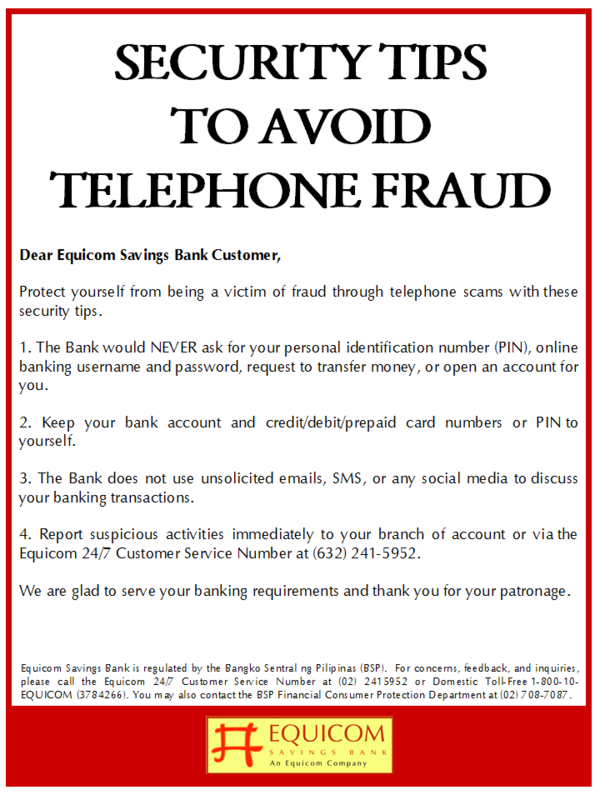 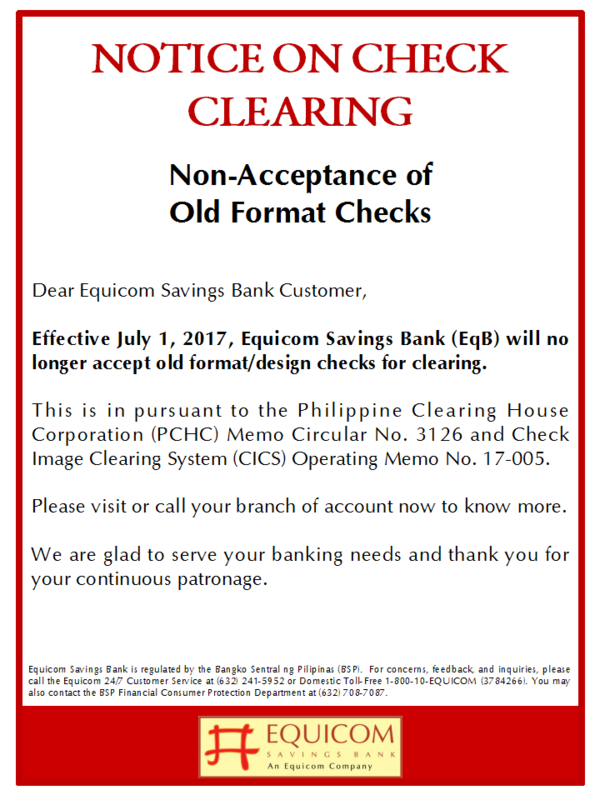 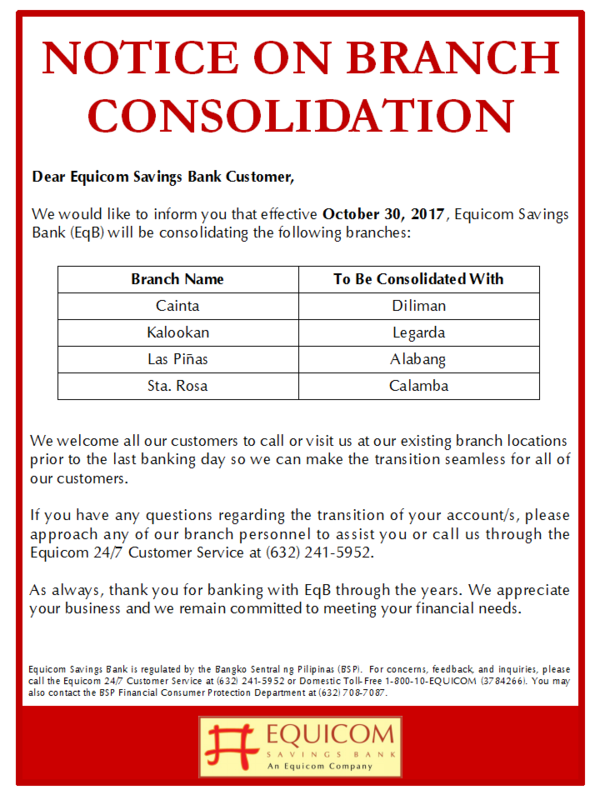 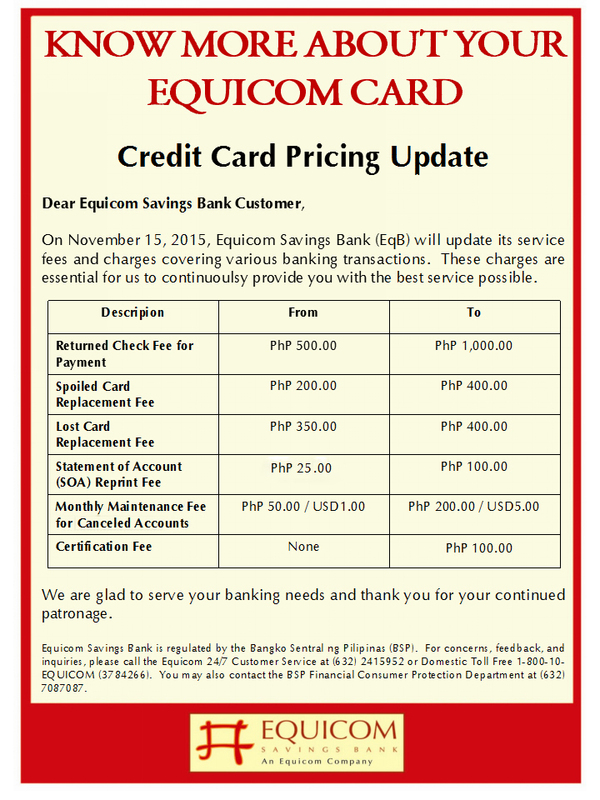 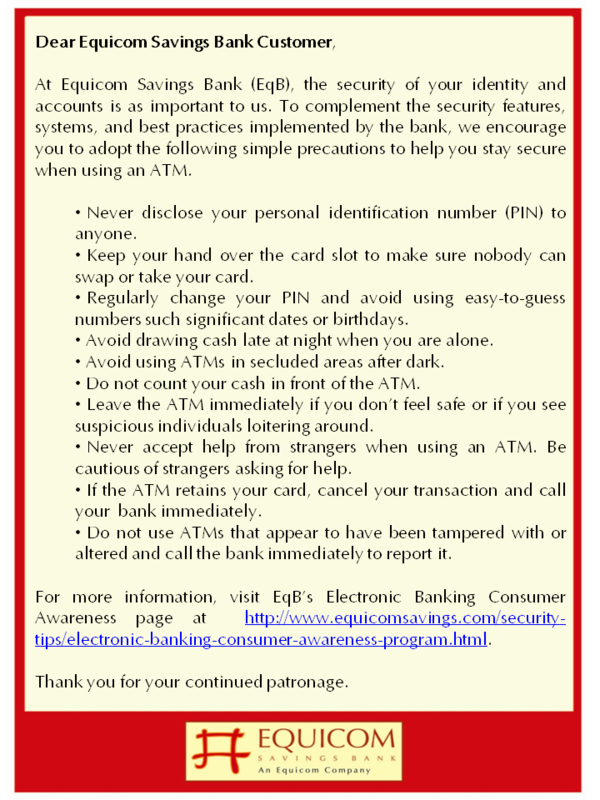 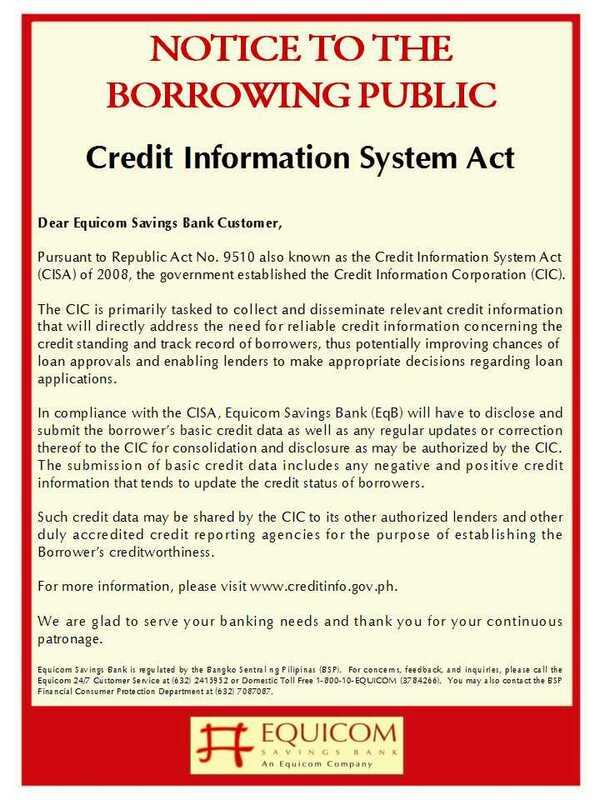 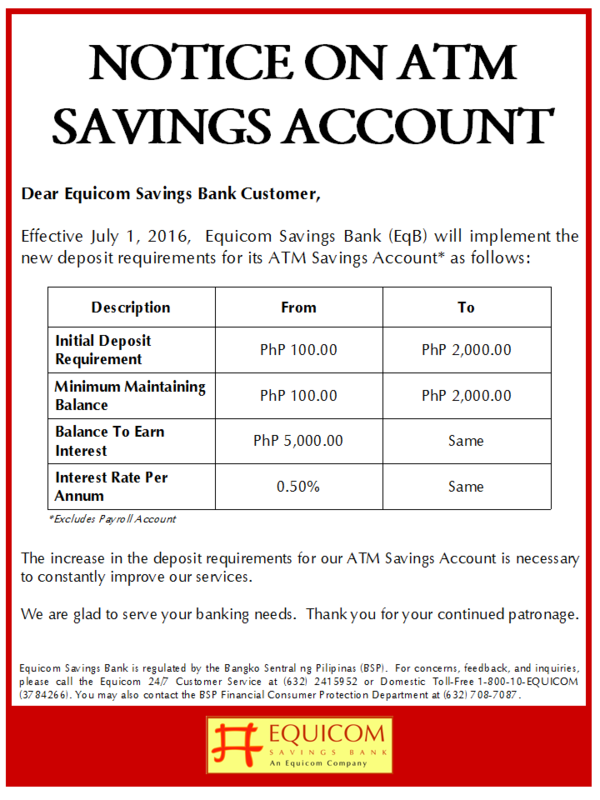 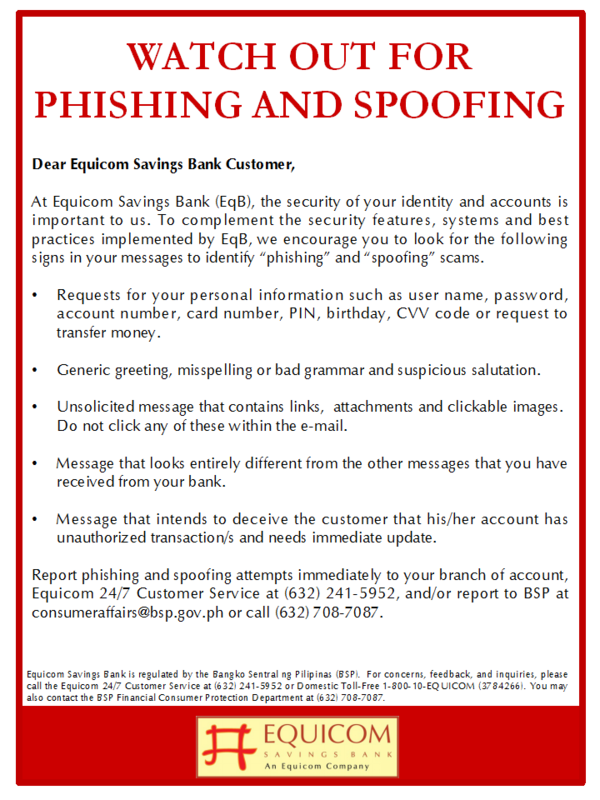 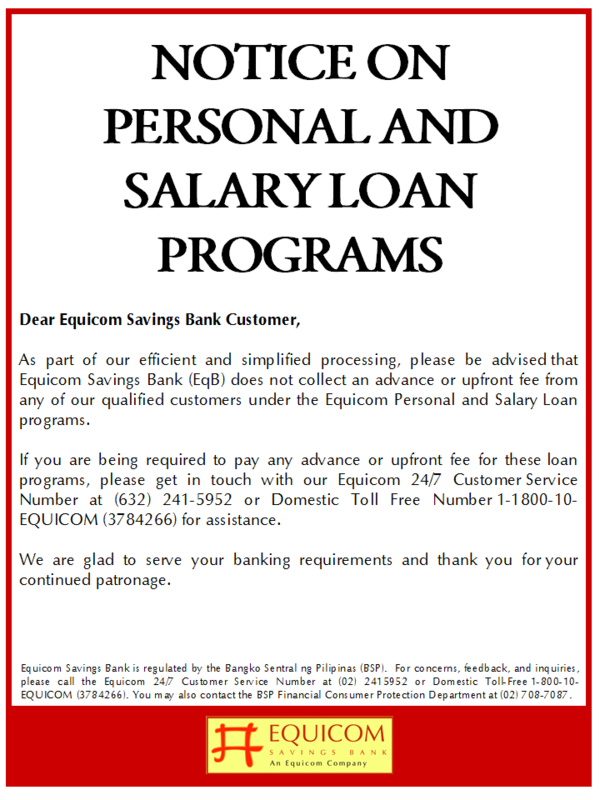 For more information on how to avail of the Equicom Super Check facility, call the 24-hour EqB hotline at 2415952 or 1-800-10-EQUICOM (3784266) or visit the website www.equicomsavings.com.